Arthur A. Levine Books, 9780439846783, 479pp. 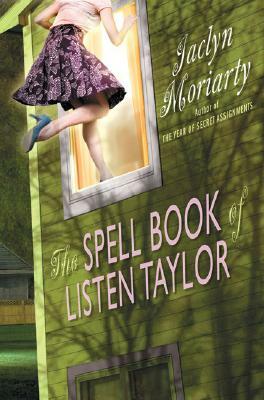 The Zing family lives in a world of misguided spell books, singular poetry, and state-of-the-art surveillance equipment. They use these things to protect the Zing Family Secret -- one so huge it draws the family to the garden shed for meetings every Friday night. Into their world comes socially isolated middle grader Listen Taylor, whose father is dating a Zing. Enter Cath Murphy, a young teacher at the elementary school that Cassie Zing attends, suffering from a broken heart. How will the worlds of these two young woman connect? Only the reader can know! Jaclyn Moriarty grew up in Sydney, Australia, with 4 sisters, 1 brother, 2 dogs, and 12 chickens. She studied law at the University of Sydney, Yale, and Cambridge, and worked as an entertainment lawyer before she wrote the Ashbury High novels, including THE YEAR OF SECRET ASSIGNMENTS, THE MURDER OF BINDY MACKENZIE, and THE GHOSTS OF ASHBURY HIGH. She still lives in Sydney, with her little boy, Charlie.